VANCOUVER – Amid concerns about the state of civil dialogue in the country today, members of a campus organization at Washington State University Vancouver called the Initiative for Public Deliberation plan to host a two-day conference to train students how to engage in civil, open dialogue about contentious issues. Simply put, the Initiative for Public Deliberation trains students how to “facilitate contentious community conversations” and then upon completing the training, have them go into the community and lead community forums about difficult issues, Johnson said. Since the organization’s founding, the group has hosted public forums on such topics as affordable college, race relations, immigration and homelessness. The Initiative for Public Deliberation functions as a student-led group with professor oversight, Johnson explained. Johnson said that while the Initiative for Public Deliberation is connected to the university, it is a separate entity. However, it is connected to an annual political science class that trains new facilitators and students when they first enter the program. 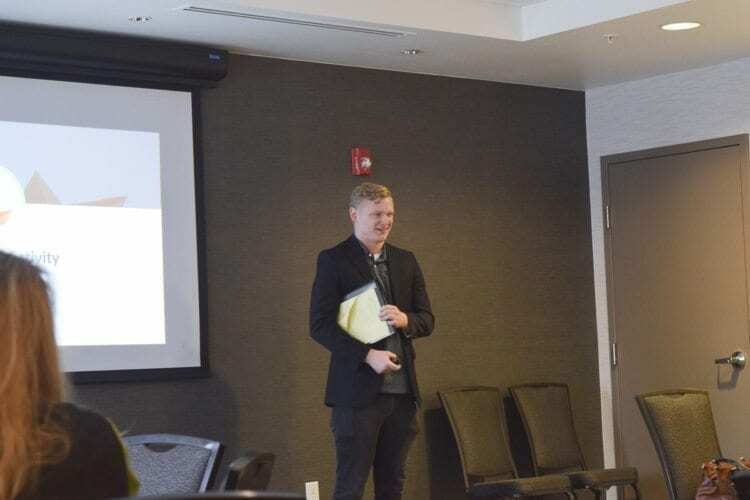 According to Skye Troy, a conference coordinator, students begin their involvement in the program by doing a large amount of research into issues of civility and society. She said that students learn why polarization develops, how to combat it and how to solve social problems that are not easily defined or solved. Once initial coursework and studies are completed, Troy said that members of the Initiative for Public Deliberation learn how to become a facilitator. They first practice in the classroom and then in the community at public forums. After being a student in the program, members then have the option to become research associates and further facilitate forums and community dialogue. At each of the public forums that the organization hosts, all of the people that choose to participate — including the general public, business representatives and public officials — agree to a set of rules that govern the interactions of the attendees. Troy said that these agreements include respect, not interrupting others and refraining from using offensive language. Public forums are broken into groups, and each group has a facilitator who has gone through the Initiative for Public Deliberation training, and a recorder that takes note of each group’s findings and policy conclusions, Troy said. The forums are designed to start conversations among a diverse group of individuals about difficult topics, and do it in such a way that allows for civil dialogue to ensue even in the face of disagreements, Troy explained. This means that difficult conversations happen without excessive contentiousness, blaming or getting mad, she said. The goal of the public forums is to help participants recognize that their voice does matter, and show them that “democracy requires deliberation,” Troy explained. At the forums, the conversation does not end when the event closes. Johnson said that the findings of each group are recorded, and research assistants develop reports from those findings, which are then sent out to all of the attendees at the forum, local policy makers and published online. 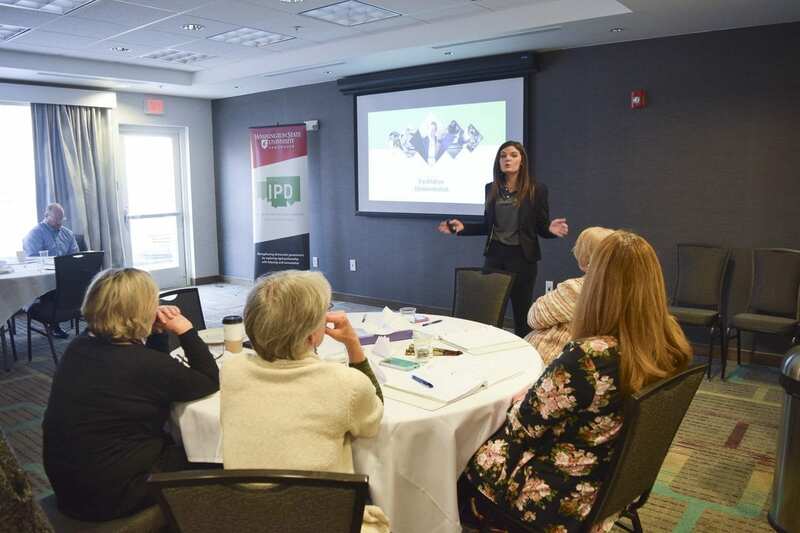 As the Initiative for Public Deliberation has grown over the past several years, representatives felt that it was time to expand its influence and reach beyond citizen forums and conference attendance. 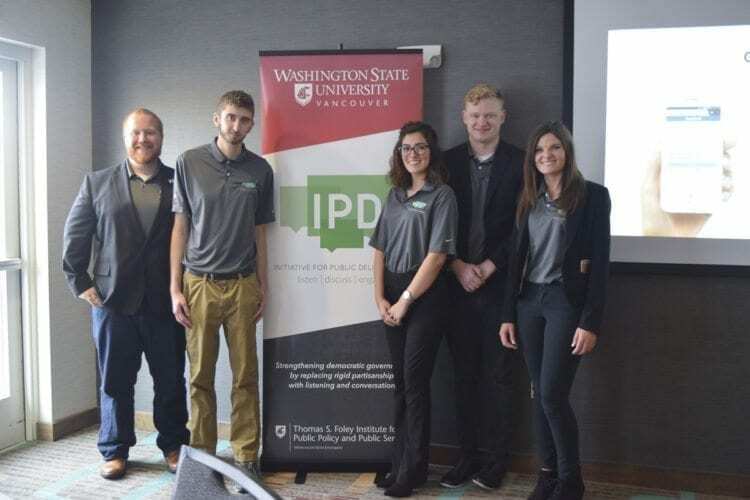 On Feb. 26 and 27, the Initiative for Public Deliberation will host a two-day conference at WSU Vancouver called “Revitalizing Dialogue: Strategies for Engaging in a Polarized Society.” Johnson said that the event will train attendees in how to facilitate dialogue in an unbiased manner. Because it is a two-day conference, there will be ample time to fully train participants in skills needed to facilitate dialogue, Johnson said. The conference is open to college and high school students across Washington, as well as to faculty, professors and community members. Attendees will participate in workshops that help them become facilitators, teach how to remain culturally competent, learn how to work through conflict and learn how to remain neutral as facilitators, Johnson said. At the end of the second day, Johnson said that the attendees will have the opportunity to utilize their newfound skills at a public forum about the opioid epidemic. Troy noted that the conference will feature Martín Carcasson, founder and director of Colorado State University’s Center for Public Deliberation, and Cornell Clayton, director of Washington State University’s Thomas S. Foley Institute for Public Policy and Public Service, as speakers. The conference will provide attendees with several meals, and the forums will take place on Feb. 27 at 5:30 p.m. at three locations. One will be held at WSU Vancouver, a second at Vancouver City Hall and the third at the YWCA. Forum attendance is free and open to the public. Troy and Johnson both said that the point of the Initiative for Public Deliberation and the conference is not to push any one political agenda or influence what people believe. Rather it is to help people learn how to have difficult conversations about public policy topics in a civil manner. Registration for the Initiative for Public Deliberation conference costs $25 and can be done online at bit.ly/IPDconference through Feb. 19. Registration for the free public forums can be done online at bit.ly/IPDforum. More information about the Initiative for Public Deliberation or the conference can be found by emailing ipd@wsu.edu.